I think we can all agree that if budget is of no concern, we would prefer to stay in luxurious accommodation. Who would say no to comfortable beds, complete amenities, and room service? Certainly not me, and sometimes I like to indulge, but with great expectations. If I have to pay more, it’s gotta be worth it. After all, isn’t that the point? We are paying for the convenience, therefore we expect nothing less. Hence, I had great expectations for Henann Crystal Sands Resort, the latest addition to the growing number of luxury hotels by Henann Group of Resorts. It’s created by a well-reputed hotel chain, I knew we were in for something great. I saw Henann’s service van waiting for me and my friends at Caticlan airport. The driver dons a barong shirt, the van is clean and spacious. Note that it serves all Henann resorts in Boracay, but aside from another female guest, we had no other company in the van. We were driven to a private port with a beautiful waiting area. There, we were greeted warmly by the staff, given bottled water, before we were ushered to the back of the building where a private boat awaits us. 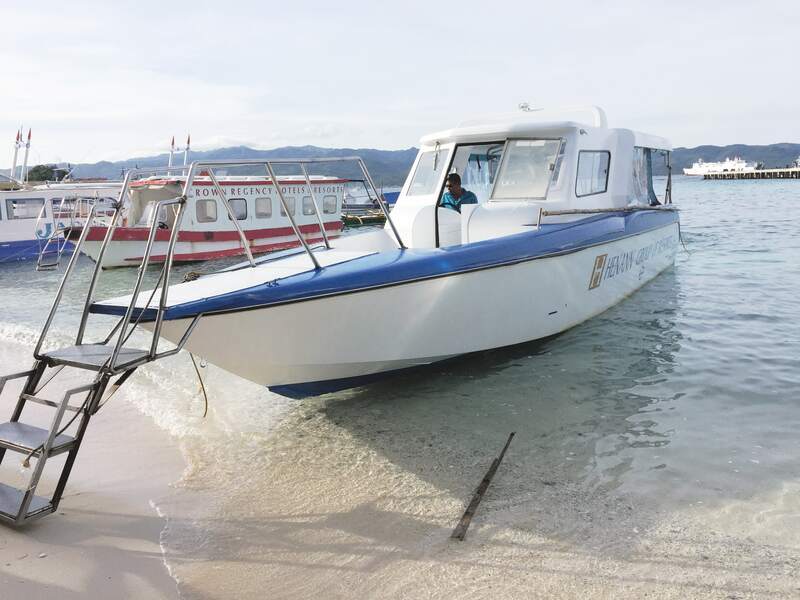 Just last week I went to Boracay and I went through all the trouble of passing through the jetty port, paying for the environmental fee and terminal fee. This time, none of those happened; everything was pre-arranged, we need not worry a thing. To not wait in queues, not deal with a lot of people, and to be treated like a VIP, it’s definitely one of the best experiences in the world. And this is all just a prelude. I had a lovely weekend in Boracay last week, 90% I attribute to the fact that we stayed at Henann Crystal Sands. 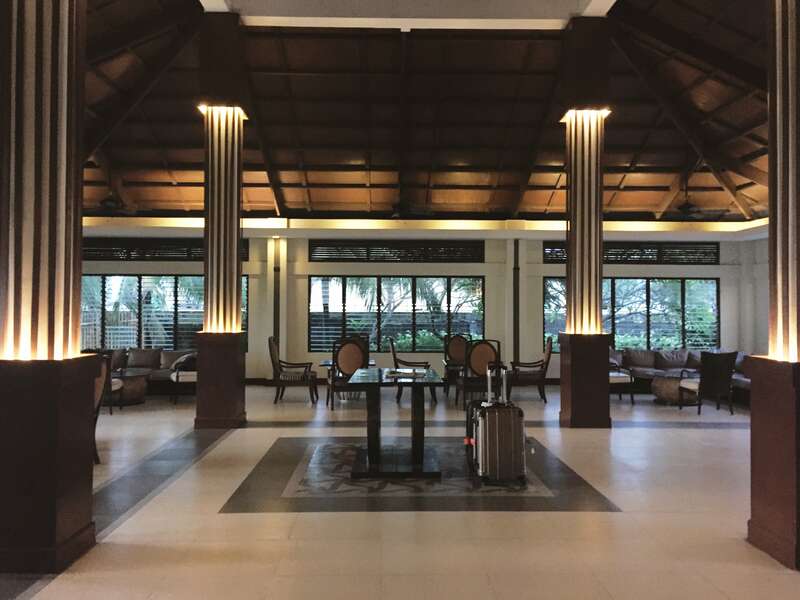 In Boracay alone, there are 5 Henann resorts, such as Henann Regency Resort & Spa, Henann Lagoon Resort, Henann Garden Resort, Henann Prime Beach Resort, and the newest player, Henann Crystal Sands. As of this writing, the 6th resort is being built and is expected to open in 2018, the Henann Palm Beach. Indeed, there are so many of them, there is a running joke that Boracay will soon be called Henann island. Humor aside, what this ultimately indicates is that there is a huge demand for luxury accommodation on the island; one that only Henann can provide. Anyone, including me, would be eager to know why. With a stroke of luck, I was able to find out with two other bloggers (Pancake of TravelHistoryCulture and Jeng of Foodinthebag). This beach-front hotel on Station 2 has a modern coastal Filipino design that perfectly complements the vibe of the island. It has an impressive number of 188 rooms, with two long swimming pools in the middle of the lot, enclosed on all sides by the hotel’s buildings. During our visit, it was still on soft opening, and some parts are still being constructed including the upper deck swimming pool that gazes out to the sea. 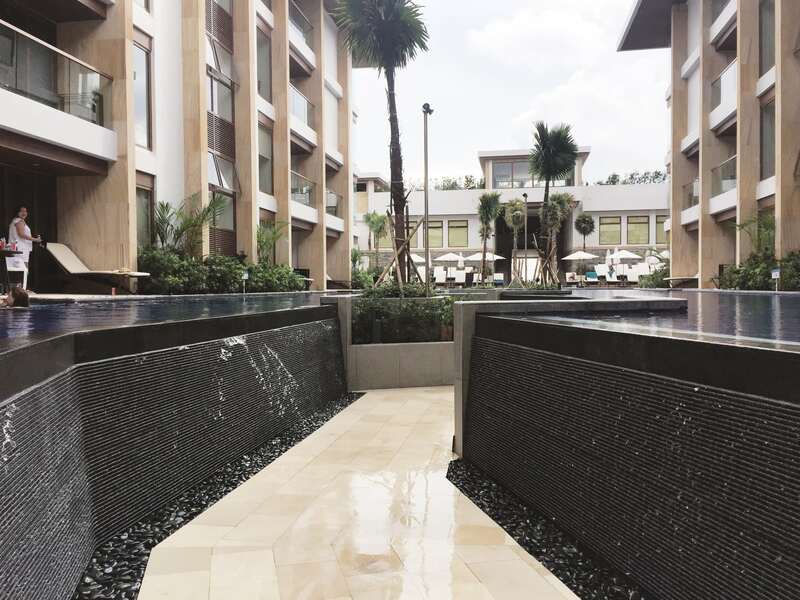 There are three kinds of rooms; Deluxe Room, Premier Room, and Premier Room with Pool Access. We stayed in a Premium Room with a single bed and a queen size bed. It is equipped with a safety lock, a flat-screen TV with cable, fridge, a closet with hangers, electric kettle, and to my surprise, two umbrellas that guests are free to borrow. 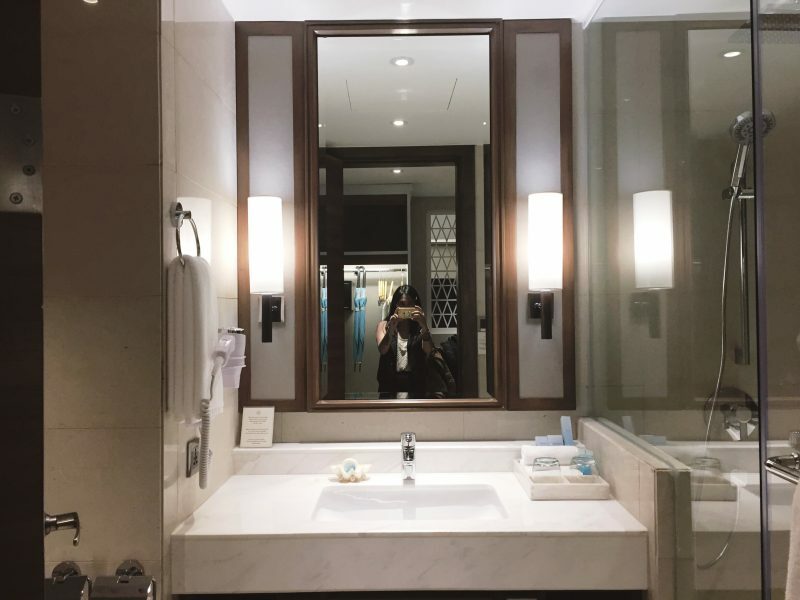 The bathroom is amazing, it has a rain shower, a bathtub, toilet with bidet, and of course towels and toiletries are provided. Though we didn’t stay in a room with a pool access, we were happy that it has a balcony that looks out to the swimming pool. The view, definitely makes every morning sweet. One of my metrics to deem an accommodation excellent is the WiFi connection; I am happy to report that it works perfectly. I was so in love with our room I didn’t want to leave. I made sure that in the two nights we were there, I was able to enjoy the bed and got me some good night sleep. The in-house restaurant is another matter and just like the rest of the hotel, it was clearly made to impress. Sapphire Restaurant offers breakfast and dinner buffet and à la carte meals for lunch. We were greeted warmly by its chef, Mr. Gene Gonzalez who introduced to us some of the best dishes that they have to offer. 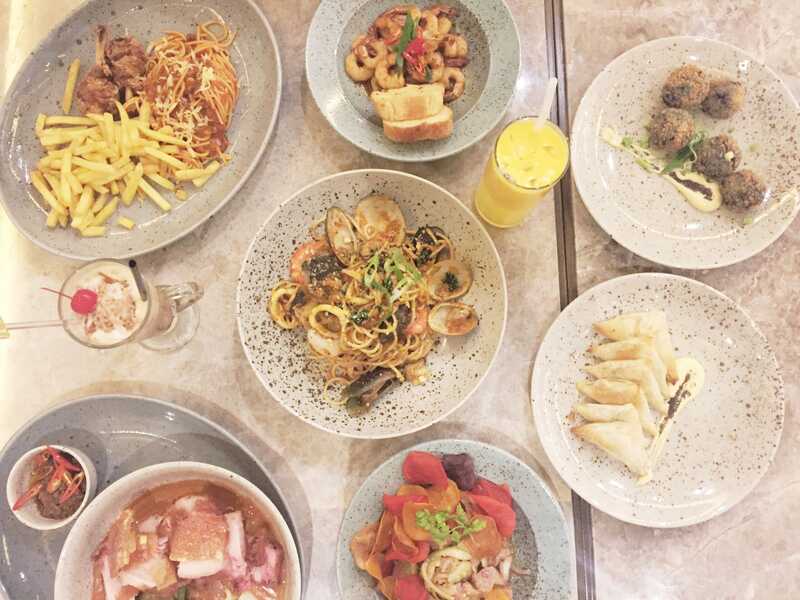 For dinner, my favorites and personal recommendations are Tuna Ceviche, Croquettas Negra, Marinara, and Kare-kareng Bagnet. The staff is also one of the best things in this resort. Everyone is courteous and they will always greet you even when you happen to be just walking by. They are well-trained, friendly, and efficient. When you ask for assistance, they will attend to you right away. Seriously I could go on and on about why I love Henann Crystal Sands, but the gist is, there is no way you will not enjoy your stay here. You will be treated like a VIP, you will be amazed by their good facilities, and you will love their food, three things that we all want when having a vacation. 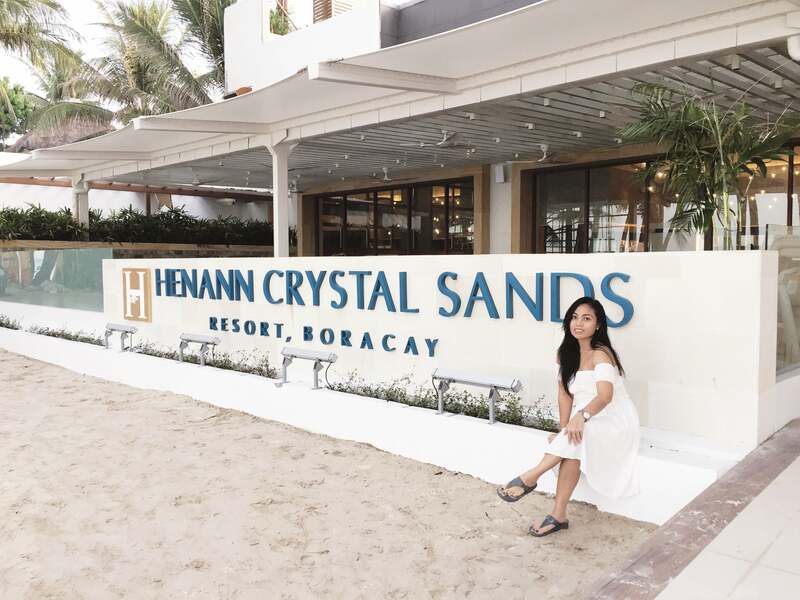 There are many ways to love Boracay, but why not make it more amazing by staying at Henann Crystal Sands. 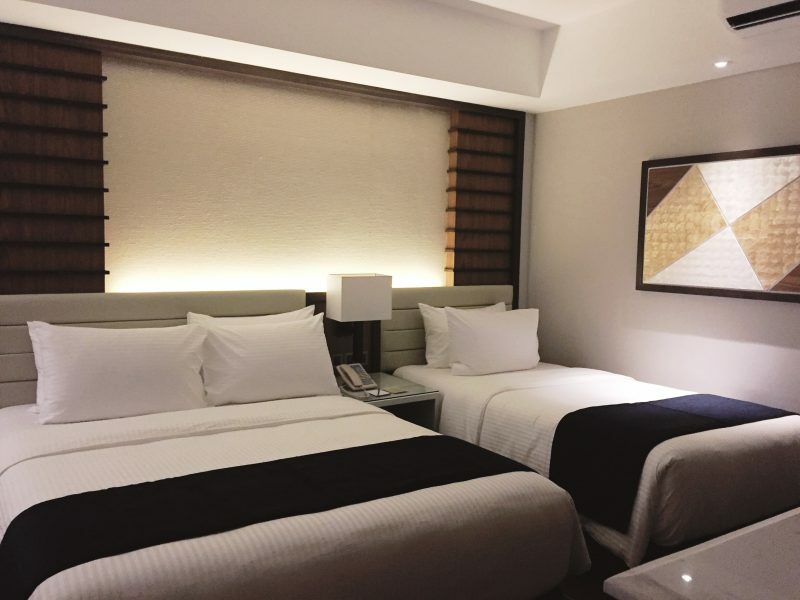 For room rates and booking, click this link. Wow, never had this kind of experienced since the day I started travelling, as I’m mostly doing backpacking. But If I would have enough funds, I will definitely love to try this kind of experience, who would not love to embrace this kind of luxurious accommodations, right? 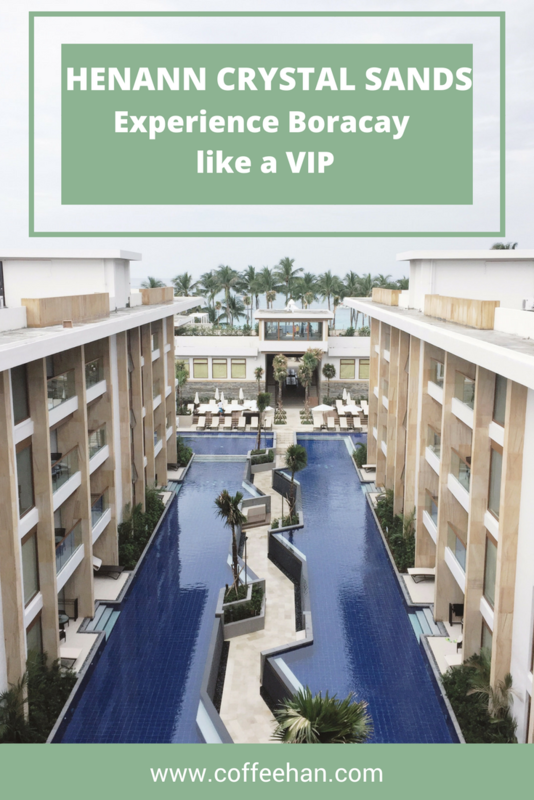 I have never been to Boracay, and probably when Boracay is ready to open to the public again, I might consider staying in Henann Crystal sands, at least I would try how it feels like to be treated like a VIP. I love the whole experienced that you’ve had here, it is so relaxing and the whole travel journey is just so relaxed without thinking about anything. That is a very beautiful, classy resort. We have been to Hennan Bohol, and it’s awesome. Do they have an in-house scuba diving outfitter? I love your images. So sultry, hot hot 🙂 O di ba, a place like this will really bring out the goddess within. I have never been to Boracay. Can you believe it? Splurging for a luxurious stay seems like the perfect thing to do in Boracay. Ooh, kare-kareng bagnet, wow! To hear Wi-Fi connection is reliable and speedy in an island with a breakfast buffet? Waah, where do I sign up? Henann Resorts’ attention to detail in their room design would be such a treat for the guest . Thanks Arni! You haven’t been there? Well, it’s about time that you do and make sure to book your stay at Henann. For sure you and your family will love it. Henann crystal sands definitely sounds like it is worth every penny you have spent. Like you said, who doesn’t love to indulge in such great luxury. The rooms look quite spacious with cozy interiors and the food looks inviting. I m sure this would make for a great stay once the complete construction is made. Borcay itself is a delight from whatever I have seen in different blogs. And this hotel does seem to enhance that charm even more. I like the warm and contemporary decor that makes you feel so welcoming. Will definitey consider this when I get to the place. Wow, this is one such a gorgeous luxury resort. Their architecture and design are beautiful. The room looks cozy and comfortable and the food seems delicious. 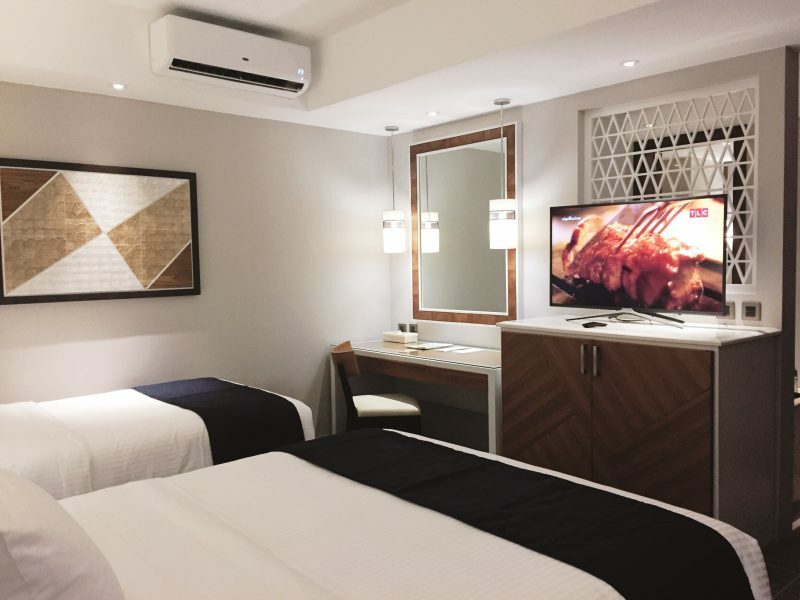 If only I can experience something like this too, haha but I am a budgetarian traveler, soooo I think staying here would cost me a lot of money. Maybe one day. Need ko lang magsave. Hahahaha. Anyway, I love reading your blog. Thanks for sharing your story. Henann Resorts chain and Sands Resorts chain are same, are they? I had been to one of Sands Resorts hotel in Macau which too was luxurious to core. Loved the interiors of Henann Resorts. The pool in between the buildings is so unique… great architectural design there. Hi Indrani, nope, Henann is different from Sands Resorts. Seems you had a very comfortable stay here .The rooms look very cozy. And the fact that wifi works perfectly is definitely a plus for travelers like myself who have to be in constant touch with their social media..will check it out when on Boracay island. What a beautiful resort, I would love to stay there! I love the pool with the passageway way in the middle. It definitely adds to the unique design of the hotel. Indeed, the swimming pool is what makes this resort stand out from the rest. I personally love Henann Resorts, their facilities are gorgeous and the swimming pools are one of the best I’ve ever been to. I haven’t been here on Boracay island as I heard it’s newly built. Glad you enjoyed your stay. I know the feeling, you don’t wanna leave! The bed is soft haha and the foods are really mouth-watering, diba? But you’re lucky the wifi here works well while in Bohol, it’s the slow internet that I noticed as downside. Though, it was one of the beach resorts! The Internet is generally good in Boracay, which I cannot really say in Bohol so maybe that’s a factor.